Skinfold measures are probably the most frequently used of all body composition methods – but they are deceptively hard to take reliably. For example, if someone measures a triceps skinfold, and then measures it again after a brief pause, the result should be the same--this does not always happen! Differences in measuring the same skinfold site can occur between testers and, sometimes, even with the same tester over multiple trials. The methodology is more than simply pinching the skin somewhere around a particular area and measuring the thickness. There are precise sites on which the measurements are to be taken, and precise methodologies to be followed to maximize accuracy and reliability. According to Best Practice the ‘ideal’ fold has approximately parallel sides – just like these. But this is not always possible. 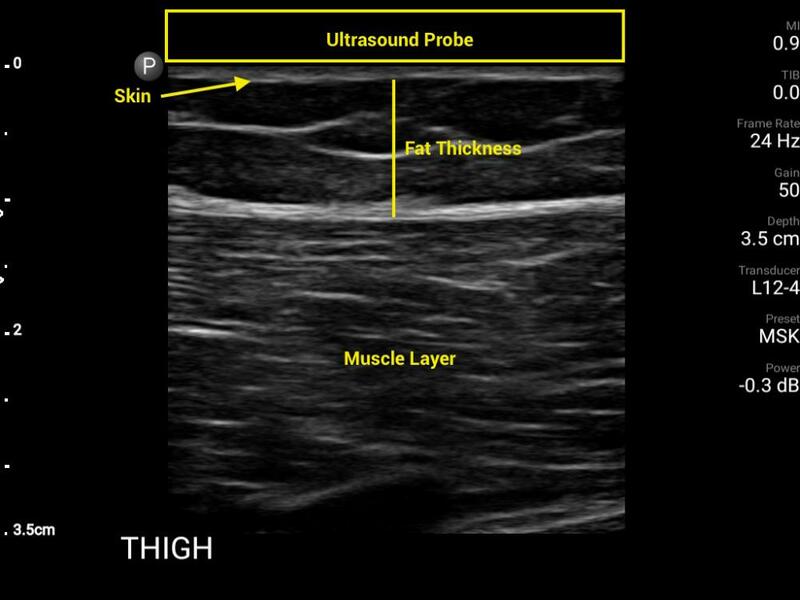 Folds are not always easy to ‘lift’ and, sometimes, parallel sides are simply impossible due to the density of the underlying fat layer, or how much of it there is, or other conditions listed below. For example what if this is the shape of fold we get, even with the best skinfold ‘lifting’ technique? For some individuals lifting a difficult fold is too painful for them to bear! Skinfolds can also be difficult - or even impossible - to lift because of a client’s ticklishness!